Another Chick-fil-A is coming to Highlands Ranch! This one will be located at Town Center North. The address is: 950 Cpl Max Donahue Ln. The store will officially open on Thursday, March 20th at 6:00am. Chick-fil-A is know for their grand opening celebrations. 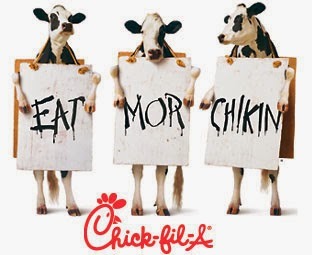 The first 100 people to arrive will receive free Chick-fil-A for a year (one meal per week). Check out the website for more information. On March 19th, the new restaurant will host a food drive to benefit Home and Health Food Bank in Littleton. Anyone dropping off five or more non-perishable food items between 9am and 7pm will receive a coupon for a free Chick-fil-A sandwich.